As you'll discover, there's a great deal you can do with RowPro. To help you get off to a good start, we've created a set of guides, mini-guides and useful tips that focus on each of the ways people use RowPro, and collected the main ones here for easy reference. You can see the full set of RowPro documents in our document library. We all know the old saying "If all else fails, read the manual", but sometimes the fastest and best way to get started is to tap into a quick tutorial. 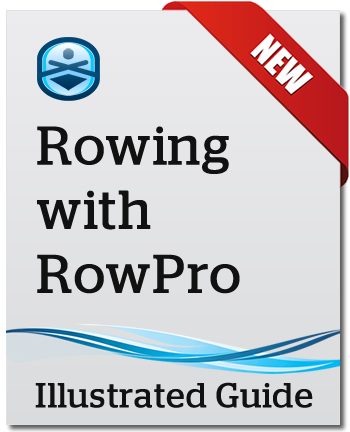 The Rowing with RowPro illustrated guide gives you a step-by-step visual tutorial, and expertly helps you work out what rowing you need to do. Rowing with RowPro opens up a whole new world, and this guide gives you a tour of that world. It starts by showing you the right way to connect, row, view and upload your results, and use the 3D coaching clinic. Possibly the most important section is working out what rowing you need to do. Now's definitely the time to settle into a good pattern, because that's the key to getting the results you want from your rowing. Once you're underway, there are other guides to help you focus on specifics like training plans, online rowing, pace boats and past rows. For now though, it's all about getting off to a good start. So welcome, enjoy your journey with RowPro, and I wish you all the best with your rowing. Finding a training plan that’s right for you can be quite a challenge, so to make it easy Digital Rowing has built a comprehensive training system directly into RowPro. You just click to get a plan, then click to set up each row. It's the simple and effective way to structure your rowing so you'll get the results you want. The big question everyone faces at the start is "What rowing do I need to do, to get the results I want?" And soon after that comes the realization that "I really need a plan." Digital Rowing has engaged training guru Jon Ackland of Performance Lab International to create a training system specifically for users of Concept2 Indoor Rowers. The result is a huge library of hundreds of training plan templates for weight control, fitness and competition, suitable for the full spectrum of users from beginner to elite. It's driven by a state-of-the-art Training Plan Wizard that makes it easy to select a suitable plan and tailor it to your age, weight, fitness level, rowing experience and training purpose. 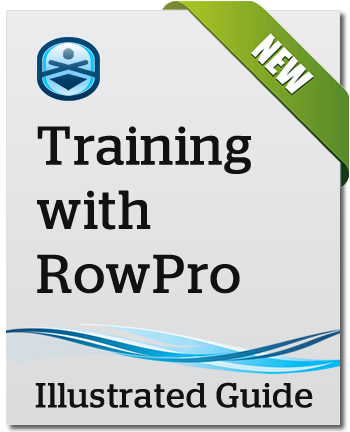 The fully illustrated Training with RowPro guide gives you step-by-step instructions for using the RowPro training system to structure your daily rowing. Knowing you’re on track to achieve the long-term results you want from your rowing is one of the most important keys to success. For most people, it’s a must. All you need is a practical, easy way of recording your results and comparing your current and previous performances. That's where RowPro comes in. When performance is your goal, your heart rate is a key metric you simply have to track, because it reveals how your body is responding to the workload. As your performance improves, your speed, strength and endurance go up, and your heart rate goes down. Logging your total meters, time and pace is not enough to track your progress. It’s good for milestone-oriented goals like million meter clubs and challenges, but not for knowing if you’re maintaining or improving your fitness, or on track in your race preparation. Proper tracking involves recording a lot of detail like strokes and heart rate. RowPro tracks all these items and more while you row, and makes it available to you in charts and tables so you can track your progress. The best part is you don't need to do anything to collect the data, because RowPro does it all for you automatically. 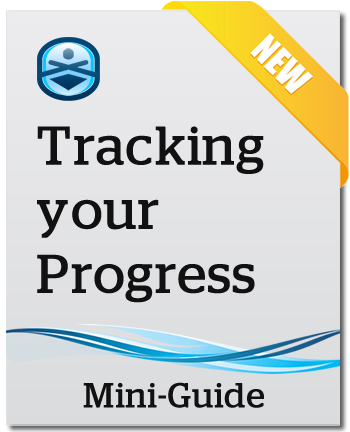 Learn more in the Tracking Your Progress mini-guide. Online Rowing is rowing with other RowPro users live in real time via the Internet. It's free to all RowPro users. During an online row, each participant sees their boat and the other participants' boats on their RowPro screen, moving along exactly in accordance with the meters rowed by each participant, and matching their rowing action stroke by stroke. There is a very different and quite unique feeling when you know the other boats beside you on the course are real people rowing with you in real time. The online rowing community is full of helpful people who are only too keen to help new members get started. Their support and encouragement can be a great help to people who would otherwise be rowing alone. There's even an online rowing club called Oarbits where you can create or join online rows, see who's rowing online, and check your results. The in-built text Chat is a key part of the Online Rowing experience. You'll quickly get to know the folks who row online regularly, and it's likely you'll go on to develop some great friendships online - they're a great bunch of people! The fully illustrated RowPro Online Rowing guide gives you a step-by-step tutorial to get your online rowing off to a great start. Good stroke technique makes you feel like a pro when you row and gives you a sense of mastery that stimulates your rowing. Good technique also feels more relaxed and less strenuous when you row. And if you row 3 x 20 minutes per week, that adds up to around 75,000 strokes per year, so good technique is the key to staying injury free long-term. As your stroke technique improves, your speed, strength and endurance go up, and your effort and heart rate come down. That adds up to improved performance – the better your technique, the better you perform. How do you learn good technique without having a personal coach? Often people start by searching for ‘rowing technique’ videos on YouTube or Google. While they show you good technique, using them to develop your own good technique can be tricky. RowPro overcomes this challenge. It has a 3D Coaching Clinic where you watch an Oarsman perform excellent stroke technique in slow motion, and learn the key parts of the stroke from Olympic rowing coach Brian Hawthorne. The best part is RowPro also shows you good technique while you row each stroke - just match your stroke technique with your 3D avatar onscreen while you row. 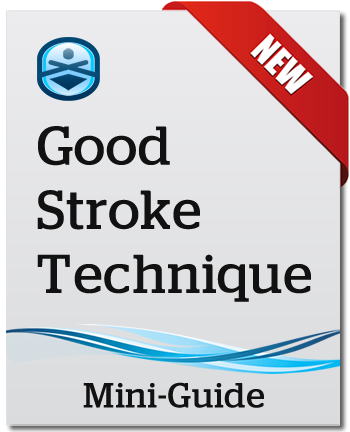 Learn more in the Good Stroke Technique mini-guide. Pace boats and past rows open up a whole new dimension for your rowing – virtual competition. Pace boats and past rows can push you to perform better, or just help you hit your target pace. They're great for getting a sense of progress, or just for company while you row - a great source of motivation. RowPro pace boats are smart - you can make them change pace at set points along the way, and you can even set the stroke rate of their 3D oarsman. That gives you a big range of options so you can tune the pace boat to do exactly what you want. People use pace boats in many ways – to push you to perform better, to zone out mentally while you stay on your target pace, or to bring your tactical race plan to life for time trials. Past rows can be even better - in many ways there’s no finer pace boat than your own past rows. You get a strong sense of progress when you beat your own past performances, and that translates into great motivation. RowPro makes it easy to row with your past rows by enabling you to choose them from your rowing log and use them to power boats stroke by stroke. That pin-point accuracy is what makes it so effective. 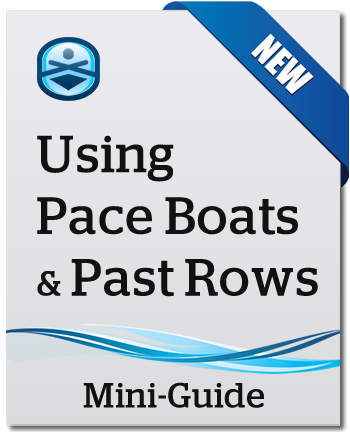 Learn more in the Pace Boats and Past Rows mini-guide. There's no doubt that sticking with your rowing over the long term is the key to success. And that means maintaining your motivation is vital to getting the lifelong fitness and health outcomes you want from your rowing. Research into the success factors driving long-term exercise programs like rowing clearly shows that your motivation is the most important, enduring and effective contributor to keeping up your rowing over the long term. Bottom line - it’s essential. In our user research, 90% of rowers say finding the time and motivation to row are the most critical factors in long-term rowing success, and by far the most-cited benefit of RowPro is - you guessed it - motivation. RowPro acieves this by providing a mix of mental and physical boosters to stimulate your rowing during the weeks, months and years of active rowing ahead. This can be a simple as seeing your meters accumulate, or as subtle as enjoying working out online with others. 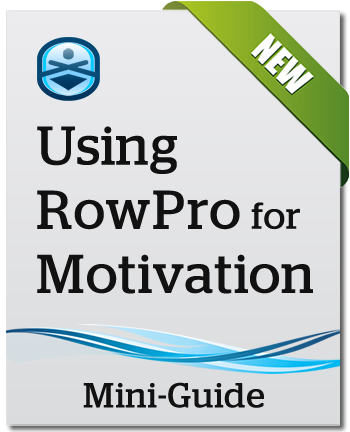 Learn more in the Using RowPro for Motivation mini-guide. RowPro Crew Rowing is group training or head-to-head team racing in 1x, 2x, 4x or 8x boats with other crews using RowPro, either at a single location in Venue mode, or spread across multiple locations in Online mode. The sessions your crews row can be anything from a group paddle to a full-on race. Even if your crew is not 'really' racing, their competitive instinct comes out and they will more likely than not try to keep up with or ahead of the other crews. During crew rows, each participant crew sees their boat and the other crews' boats on their RowPro screen, moving along exactly in accordance with the average meters rowed by each crew. And for coaches and organisers, there's the added bonus that every stroke by every crew member is recorded automatically for later analysis. Online Crew Rowing enables schools, colleges, clubs, universities, gyms, military units and many other organizations to compete with each other without needing to travel. This opens up a whole new realm of rowing activities, and enables local, regional, national and international online regattas. 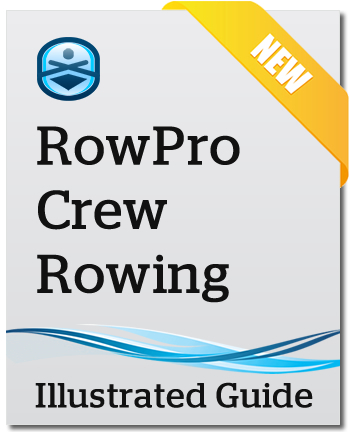 The fully illustrated RowPro Crew Rowing guide gives you a step-by-step tutorial to get your crew rowing off to a great start.